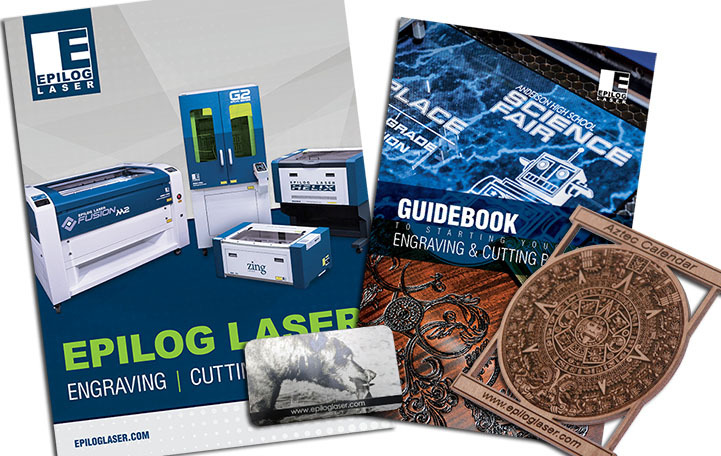 Whether you're lasering in the classroom or lasering for the classroom, Epilog Laser systems can create unique and exciting educational resources for any learning level. 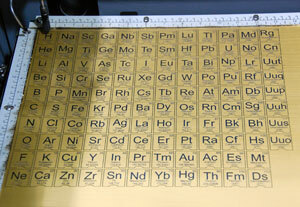 Using laserable brass-coated steel, we engraved the entire periodic table of elements and cut gold LASERmag for each individual element. 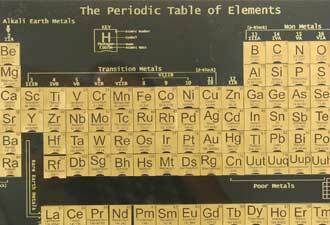 The base features clues and tid-bits about each element to help students memorize the properties of each element and where it goes on the table. Base: 12" x 24" laserable brass-coated steel from Johnson Plastics Plus. Elements: 12" x 24" Rowmark LASERmag brushed gold magnetic sheet, available from Johnson Plastics Plus. 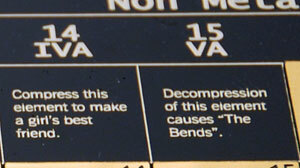 Consult your owner's manual for the correct speed and power settings for your machine. Insert the brass-coated steel in the the engraver. 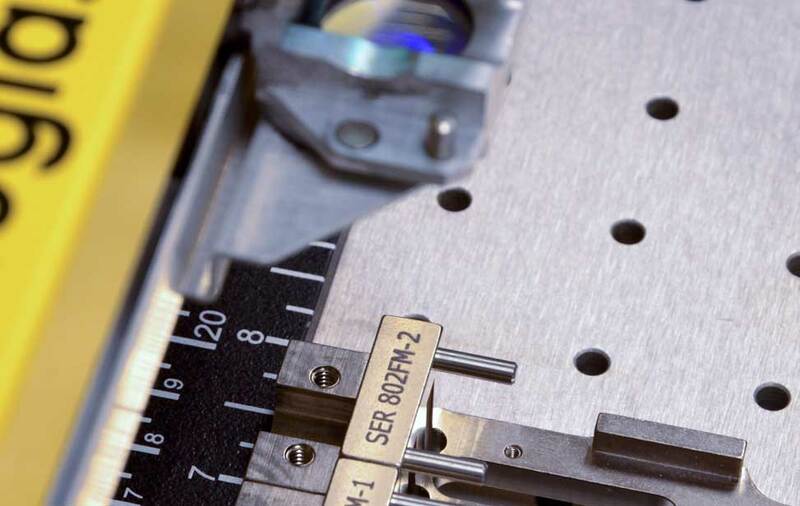 Open the file periodic-table.cdr (or .eps) and send it to the laser. 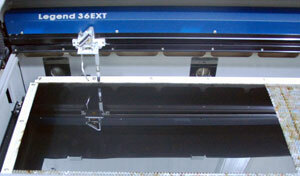 Next, insert the LASERmag material into the engraver. 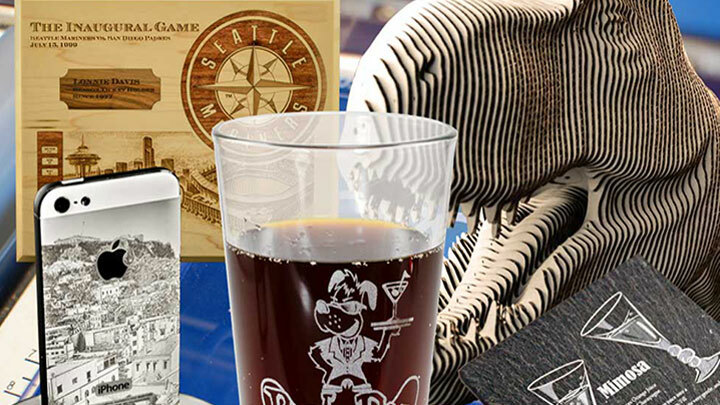 Open the file sc_elements.cdr and print it to the laser. When it's complete it will look like the image to the left. Place the magnetic tiles across the table (they go in numerical order from left to right) and you're all set. Or if you're really ambitious, try to match the elements using only the clues! Hint: Atomic numbers 6 and 7 are Carbon and Nitrogen, respectively. Good luck!